UK cell therapy company Cell Mogrify has been awarded £420,000 funding from Innovate UK to accelerate its data-driven cell conversion programmes. The funding from the UK’s innovation agency will be used to transition three products to preclinical stage, with potential application in wound healing and immuno-oncology. 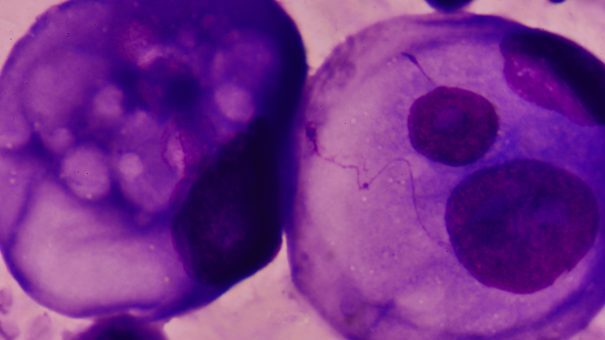 Currently, cells used in cell therapies either need to be extracted and sorted from the patient themselves or a donor, or derived via experimental protocols that can take several years to develop. Mogrify aims to accelerate this process by using its bioinformatic platform to deliver an “efficient, safe and scalable” source of cells for the development of multiple personalised regenerative cell therapies. The company uses a systematic big-data approach to identify, from next-generation sequencing and gene-regulatory networks, sets of influential and non-redundant transcription factors or small molecules needed to drive the direct conversion of one mature cell type, such as fibroblasts, into another, such as T-cells. The reprogrammed cells will then be subjected to a number of functional tests to demonstrate bioequivalence and potential as cell therapies, such as CAR-T treatments. “Mogrify’s mission is to place ourselves, and as a result the UK, at the forefront of the next generation of cell therapy companies,” said Darrin Disley OBE, the company’s CEO. “By embracing systematic data science approaches built on large-scale transcriptomic, cell regulatory network and epigenetic data we believe better cell therapies can be developed at a lower cost across all therapeutic areas. Professor Julian Gough, Mogrify’s co-founder and CSO, added: “We have already used our bioinformatic approach to produce chondrocytes and microvascular endothelial cells by transdifferentiation and speed up the protocols for acquiring astrocytes, neurons and chondrocytes from induced pluripotent stem cells.